That is good advice. 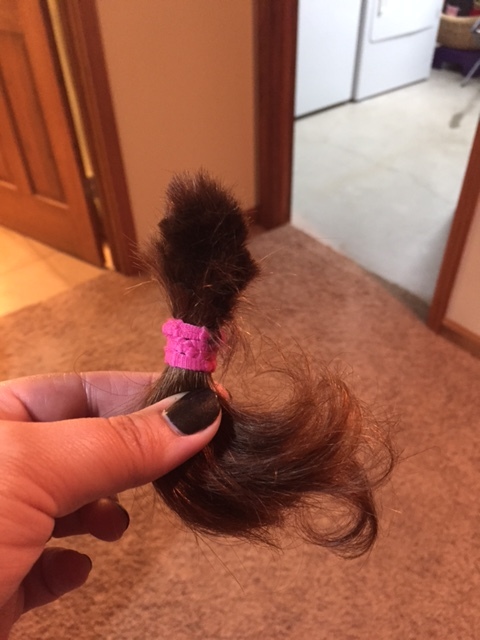 Hair cutting is something that it probably best left to the professionals. I’m not sure why it sometimes feels so satisfying to do something dramatic to my own hair, even though it has not worked so well for me in the past (see the black hair dye incident of 1999). But at 11pm, with my hair pulled back in yet another ponytail, the thought of a short bob, with my neck exposed, seemed like the perfect solution to a moment of feeling blah. The bad news is that there is a definite short spot in the back. The good news is that I don’t really care. I live in Minnesota, so I figure I’ll be wearing hats and scarves soon enough anyways. We are on such the same page, I was FASCINATED to see this. It was like waking up and having someone else tell me what I just dreamed. My hair is driving me nuts, I keep thinking it needs cutting, I keep not making the appointment, I keep thinking when I’ve wet-combed it that this is the perfect time to cut off the ponytail.